FUturist Press was established in 2017 as an unorthodox alternative to the neoliberal aesthetic currently dominating the book publishing industry. FUturist Press operates in the public interest and is committed to publishing, in innovative ways taking advantage of current technologies, works of significant cultural, aesthetic, philosophical, and moral value that are often deemed not marketable enough by both large and small publishers. Most political analysts were taken by surprise by Donald Trump’s success during the campaign and even more so by his eventual win. 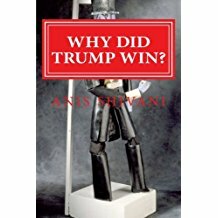 The author of this book consistently predicted victory for Trump over Hillary Clinton, should the Democratic party fail to nominate Bernie Sanders, which is precisely what happened. Removing the analysis from matters of personality and contingency, this book seeks to identify the larger institutional and economic changes that have resulted in a rank political outsider such as Trump taking complete power in Washington and sidelining the liberal opposition in every branch of government. Is Trump a fascist, an authoritarian populist, a right-wing extremist, or someone who fits into an established pattern of American conservatism? Was identity politics the biggest loser in the election? What is the future of the Democratic party’s appeal to and patronage by the financial class, and what happens when the other party is able to shear off, by demagogic appeals, a large part of the coalition that needs to hold if the meritocratic/neoliberal vision of the financial class is to achieve electoral success? Is there any chance that the Democratic party will undertake philosophical reform and go back to its original base from before the neoliberal ascendancy? Does neoliberalism explain everything that happened in this election, or are there residual factors outside this explanatory framework? How did the press, and the establishment in general, get it so wrong on so many counts throughout the last two years of buildup to this election, and what chance is there for accountability and course correction according to the facts on the ground? What is the Trump coalition? What is Trumpism? What should we expect from this movement, and what should we not? These and other crucial questions have assumed life-and-death importance for the body politic, especially for embattled minority groups feeling betrayed and abandoned by establishment politicians and intellectuals who failed to see the truth of what was going on in the country. These questions are addressed with stimulating clarity and vision in this book of essays that unfolds in real time along with the surge of populism on both left and right in the historic election campaign. The next chapter in American politics is only beginning. This book provides a sound intellectual platform from which to interpret and anticipate the direction of events in the age of Trump. 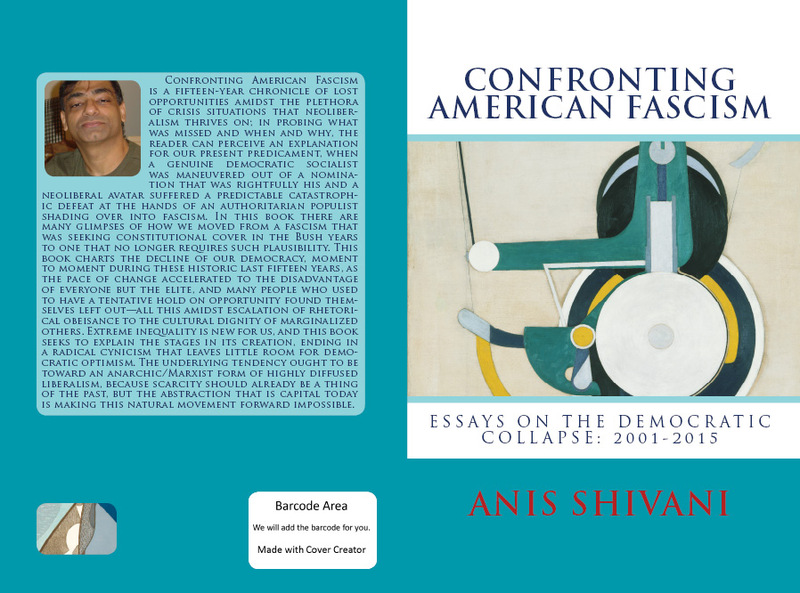 Confronting American Fascism is a fifteen-year chronicle of lost opportunities amidst the plethora of crisis situations that neoliberalism thrives on; in probing what was missed and when and why, the reader can perceive an explanation for our present predicament, when a genuine democratic socialist was maneuvered out of a nomination that was rightfully his and a neoliberal avatar suffered a predictable catastrophic defeat at the hands of an authoritarian populist shading over into fascism. In this book there are many glimpses of how we moved from a fascism that was seeking constitutional cover in the Bush years to one that no longer requires such plausibility. This book charts the decline of our democracy, moment to moment during these historic last fifteen years, as the pace of change accelerated to the disadvantage of everyone but the elite, and many people who used to have a tentative hold on opportunity found themselves left out—all this amidst escalation of rhetorical obeisance to the cultural dignity of marginalized others. Extreme inequality is new for us, and this book seeks to explain the stages in its creation, ending in a radical cynicism that leaves little room for democratic optimism. The underlying tendency ought to be toward an anarchic/Marxist form of highly diffused liberalism, because scarcity should already be a thing of the past, but the abstraction that is capital today is making this natural movement forward impossible. This book suggests that there has been a continuous economic crisis for the last fifteen years, going along with the continuous political crisis. The acute form of the crisis in 2007-2011 was not resolved in any helpful way; instead, the norms that had created this overt rupture were further established as permanent policy. Renewed commitment to neoliberal principles has all but guaranteed further instability in the future. In the cultural realm, politically correct discourse does not engage in constitutional confirmation of every person’s legal rights but diminishes opposition to the reigning philosophy by conceptualizing each group as a discrete unit without reference to others. To the extent that the ideal of global cosmopolitanism has vanished, we now share a much more negative view of globalization, whose evolution this book traces; the ceaseless crises we have faced in the last decade and a half erode cosmopolitanism in any of its forms, and leave us all fragmented, scattered, impotent consumers lacking full bearings. Unlike a book composed at a static moment, this book unfolds over a substantial period of time, responding to each crucial event in turn, so that the reader can see the evolution of our public responses, the slow shift in reassessments of our common ideologies. All the principles the Bush regime established remain fundamentally unquestioned, and we do not anymore, as a culture, have the power to resist this force, because of the slow death of liberal/humanist intellectual perception. The essays in this book are jolting, as we experience again the shock that we felt as we witnessed events unfolding against the norms Americans have been trained to expect. Confronting American Fascism shows how the growing disconnect between the elite and the people prevents functioning along a trajectory of reality and truth; problems offer their own eminent solutions, yet nobody is interested in taking them up. Neoliberalism, this book shows, has recently been on a path to regroup, strengthen, and reorganize under the banner of populism, while there has been no renewed social contract on behalf of equality, employment, economic justice—or even basic dignity. It is easy to lose the thread of the larger story that has been developing since the turn of the millennium; the author of this book never got over his initial shock, and thought it best to tell our collective story by preserving that impact.